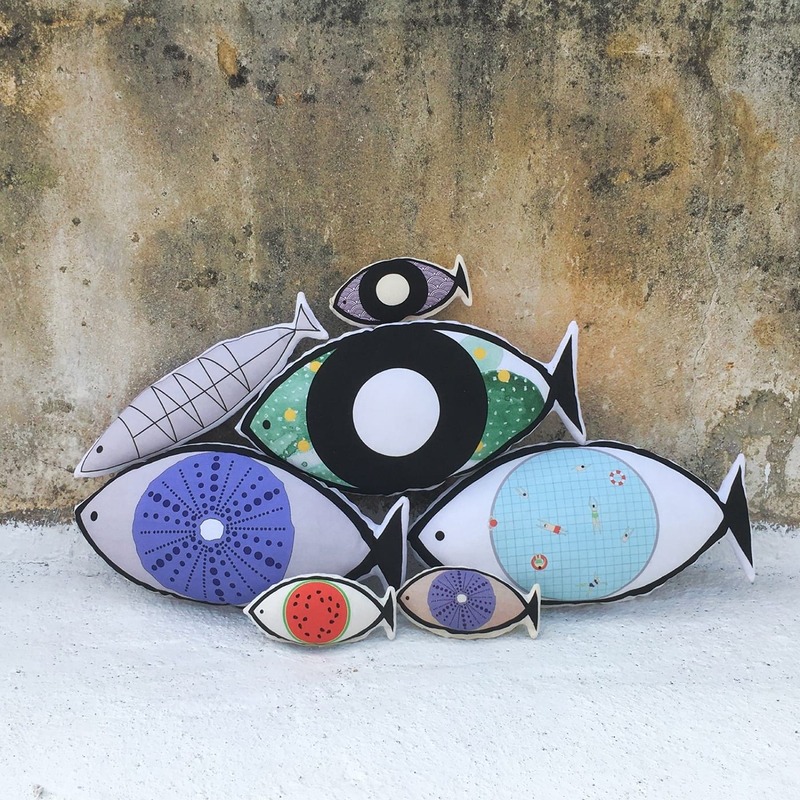 The Fish-Eye Cushion Kyma by “A Future Perfect” is a decorative fish shaped cushion with unique style and character. Inspired by summertime in the Aegean Sea. These exquisite cushions come in a variety of patterns which are inspired from the wonderful summertime in Greece. 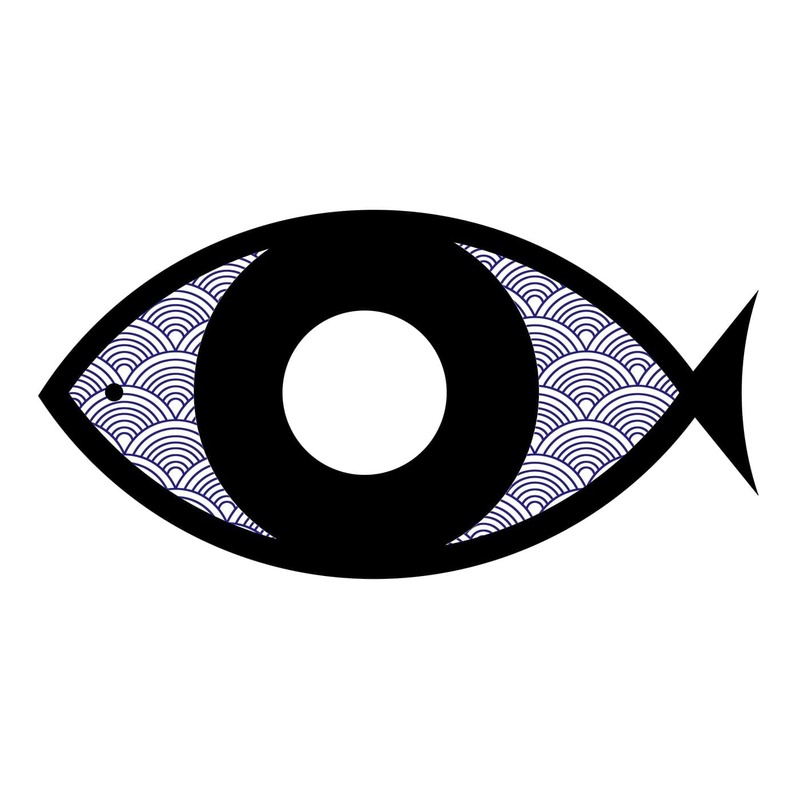 The collection combines the minimal graphic shapes of the fish and the eye, with more elaborate Greek summer patterns such as swimmers or watermelons, to produce a series of colourful, tasteful decorative objects. Some of them are made for children, all of them are meant for summer-lovers! 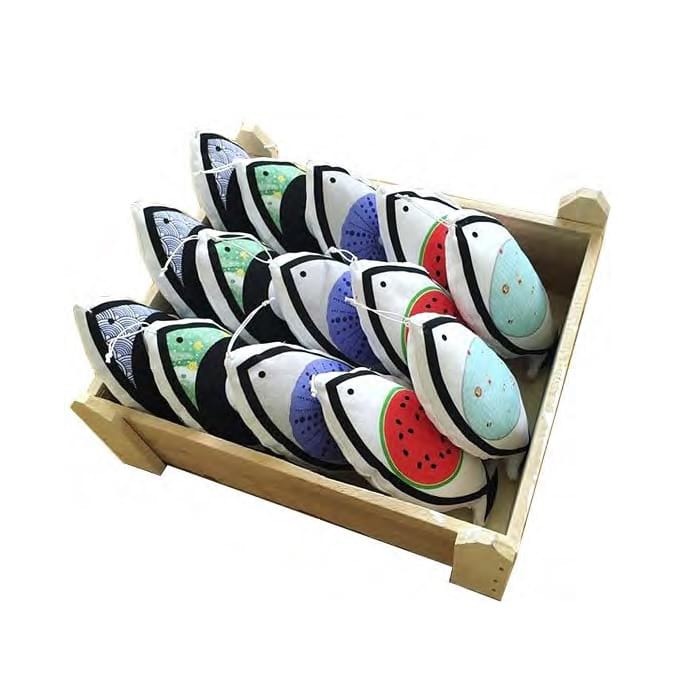 All fish-eye cushions are filled with hypoallergic fillings, the ideal choice for an upbeat and cheerful interior. Dimensions: 22 x 35 cm.